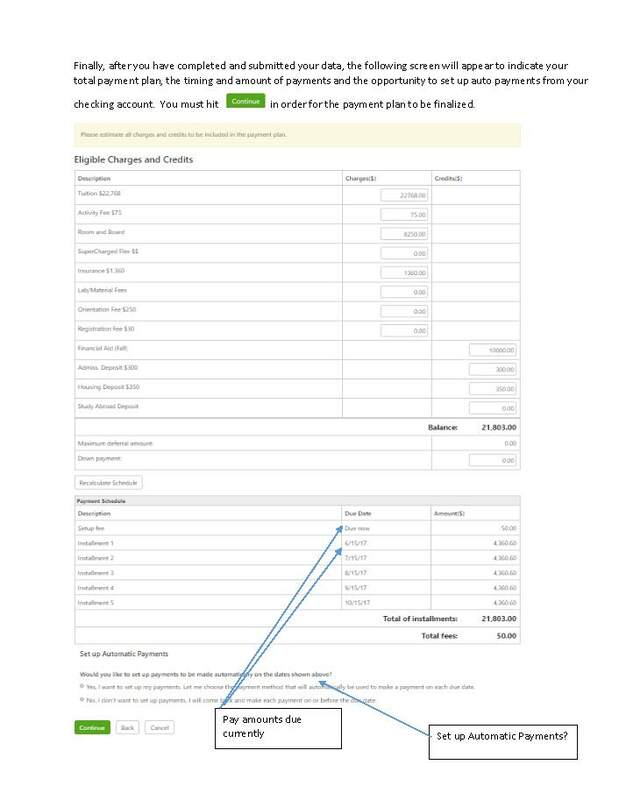 Below is a sample of a payment plan worksheet from 2017. 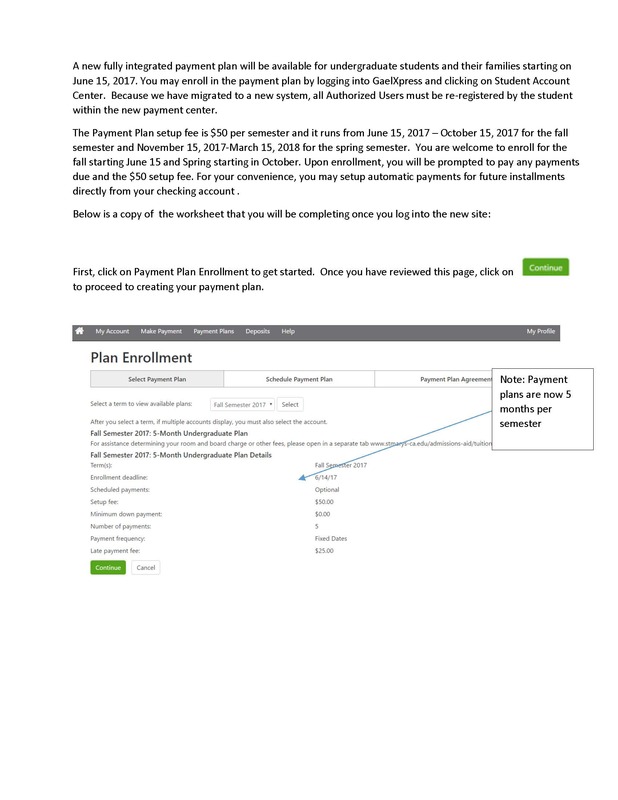 It is simply an example to assist you in navigating through the new system.The undergraduate fall 2019 semester payment plan will be open for enrollment in late May. 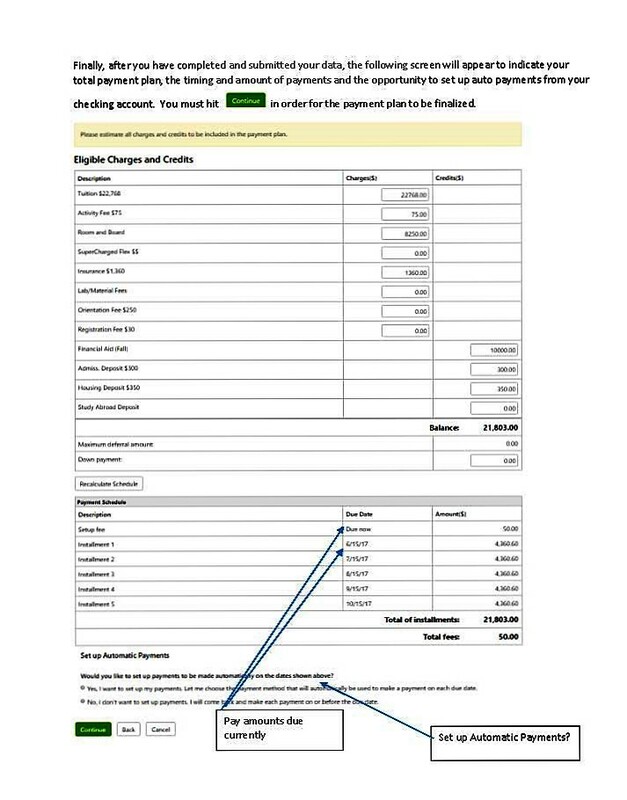 Families may enroll in the 5-month payment plan with installments on June 15, July 15, August 15, September 15 and October 15. The setup fee is $50 per semester. 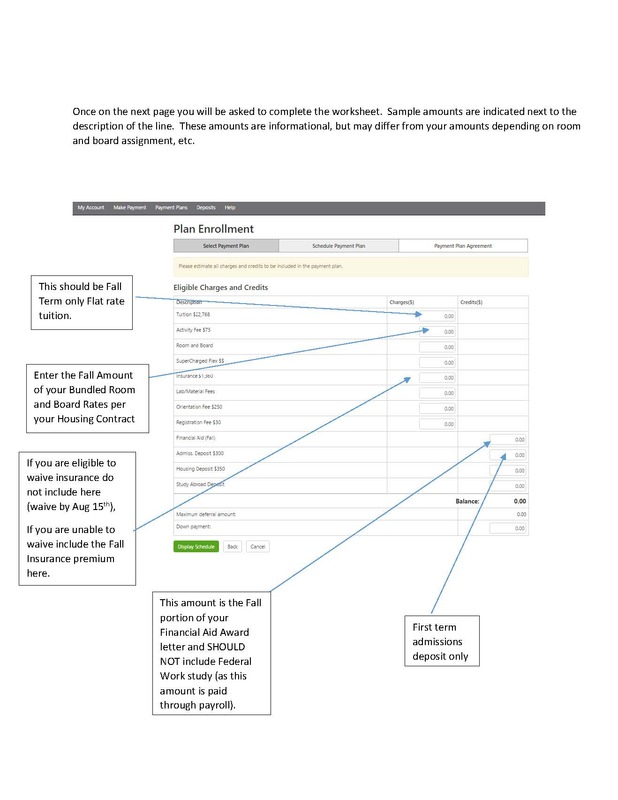 Families wishing to lower their monthly installments may make a prelimary down payment at sign up.The spring 2020 payment plans will open in late October with installments on November 15, December 15, January 15. February 15, and March 15. 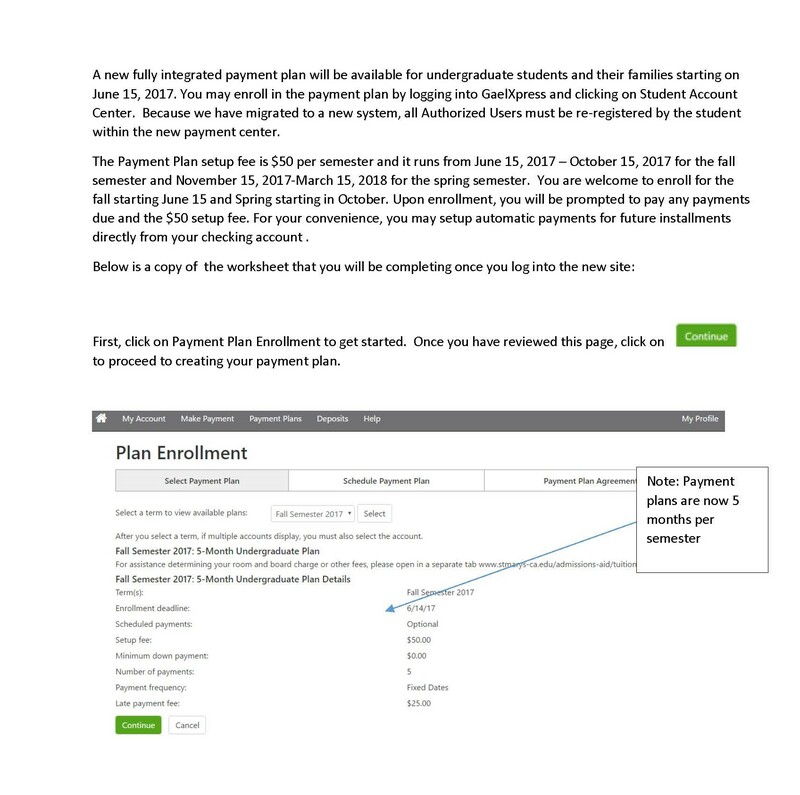 The setup fee is $50.Graduate and Professional students are eligible for the 3-month payment plan ($35 setup fee) that will open at the beginning of the quarter, trimester or semester of enrollment.